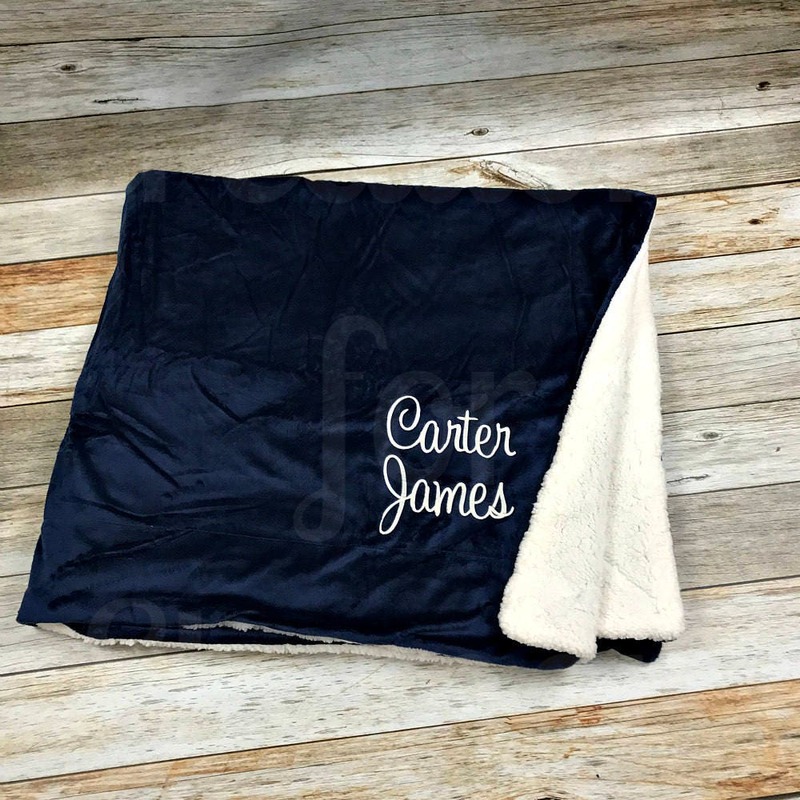 These throw is the perfect blanket to cuddle up under on a cold day. 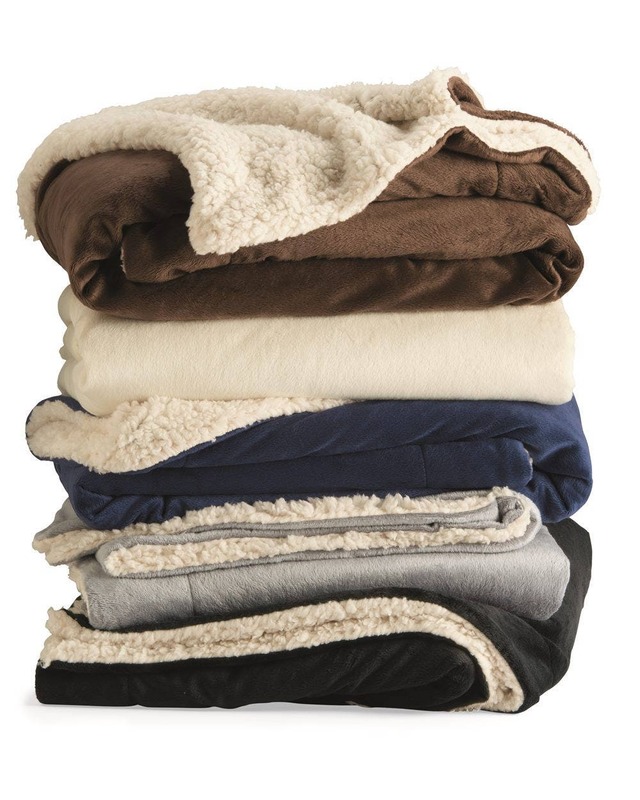 The micro mink fleece and sherpa blanket is a stylish addition to any dorm room, bedroom or family room. 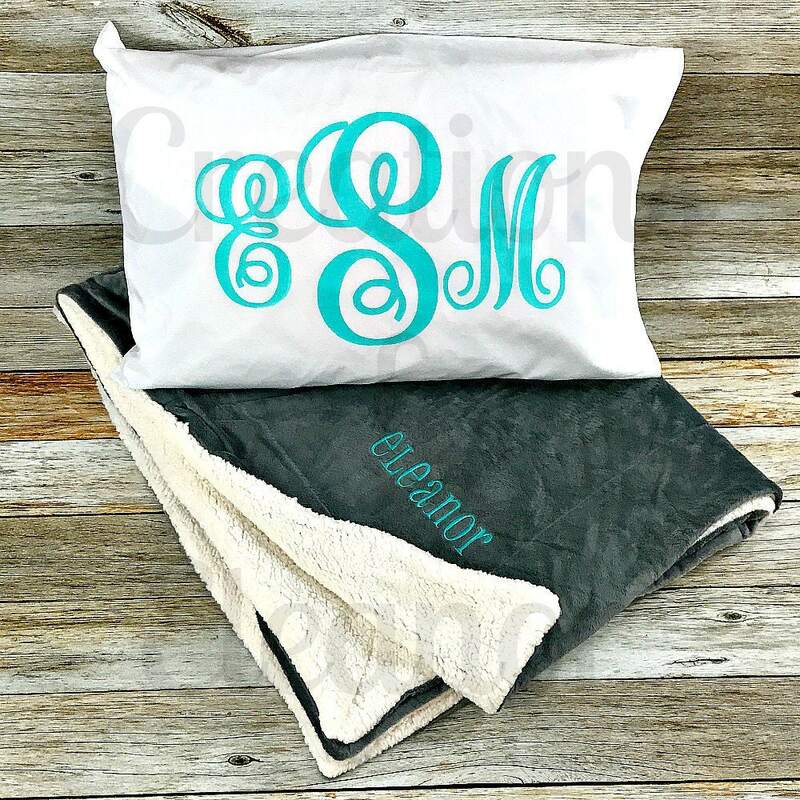 It measures 50" x 60" and is the perfect size to cuddle up under. 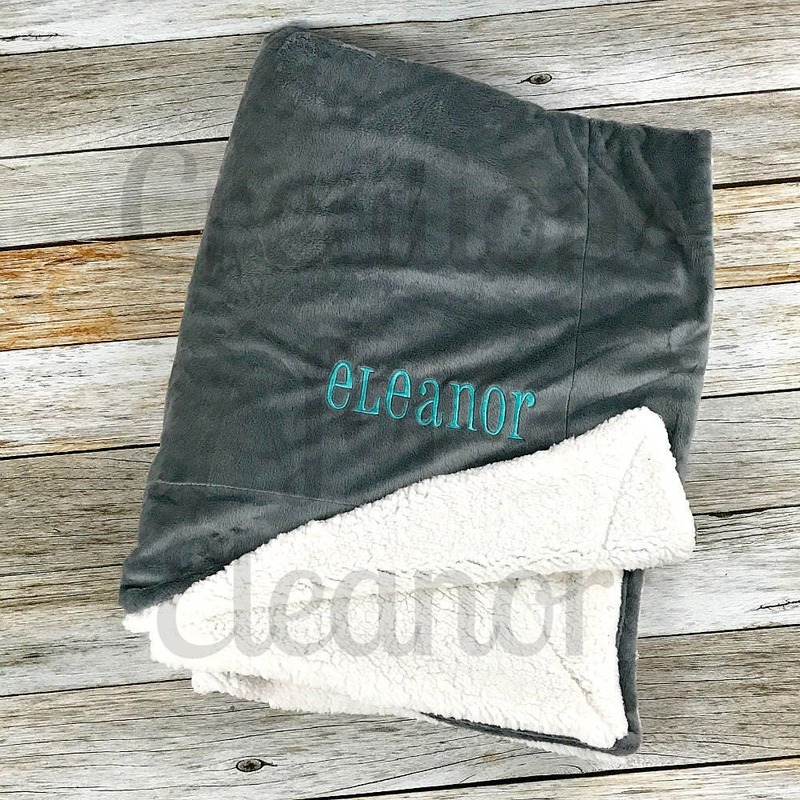 Blanket is made from 7.1 oz., polyester plush micro mink fleece and Sherpa, one side is faux micro mink, other side faux lamb's wool Sherpa. 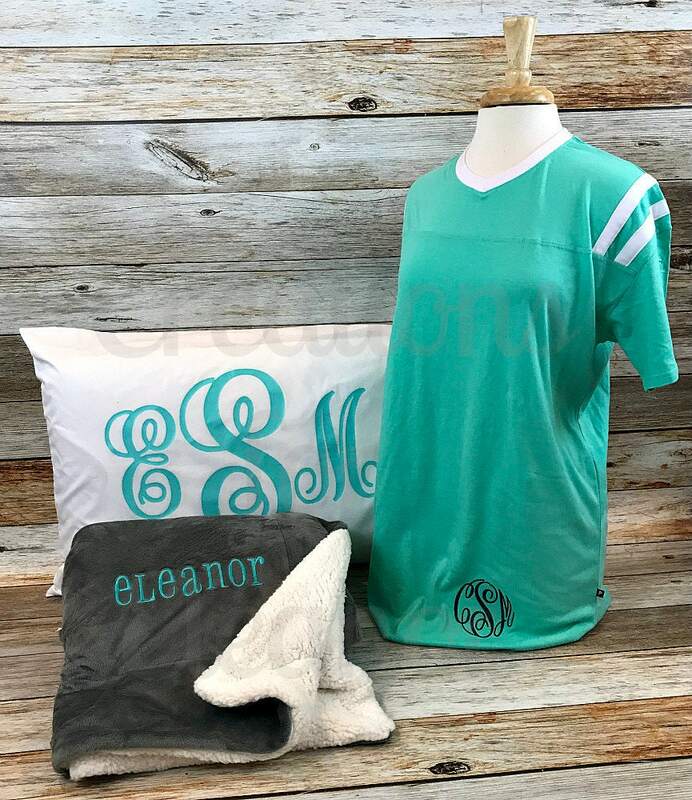 The anti-pill blanket is also machine washable. 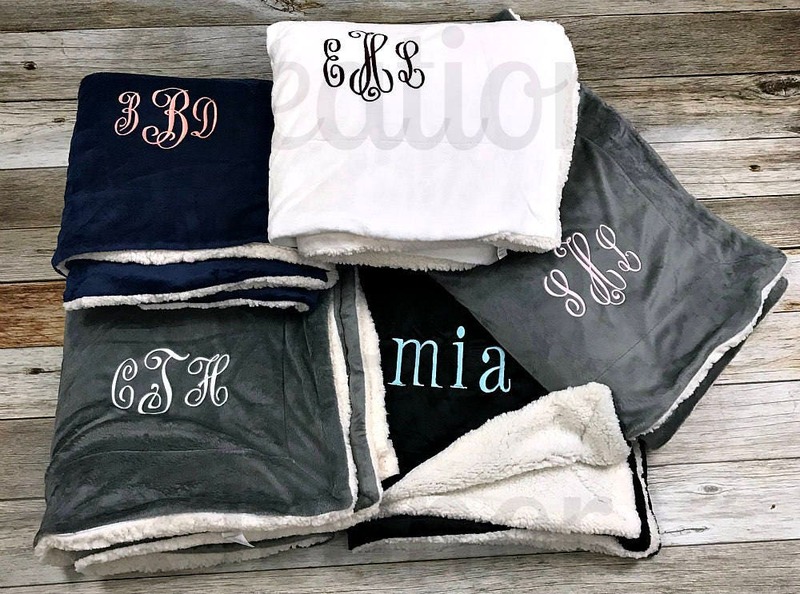 In the notes to seller section at checkout please indicate the name or initials inorder first LAST middle, the font and also the thread color.